CPS Lives in the news! CPS Lives artist and Chi-Arts Visual Arts Department Head & AP Photography Instructor, Whitney Bradshaw, was featured in the Chicago Tribune Life & Style Sunday Section for her Outcry project. Outcry is currently hanging at DePaul Art Museum until December 2018. Congratulations, Whitney! CPS Lives was featured in StreetWise Magazine! The article includes work from photographers Suzette Bross, Michelle Keim, and Janet Mesic-Mackie. Please follow the link below for the full article! Artist & photographer, Suzette Bross featured her latest ongoing series, The Principal Project at EXPO Chicago this year. The work was exhibited with Geary Contemporary. To learn more about this event, please click “learn more” below! 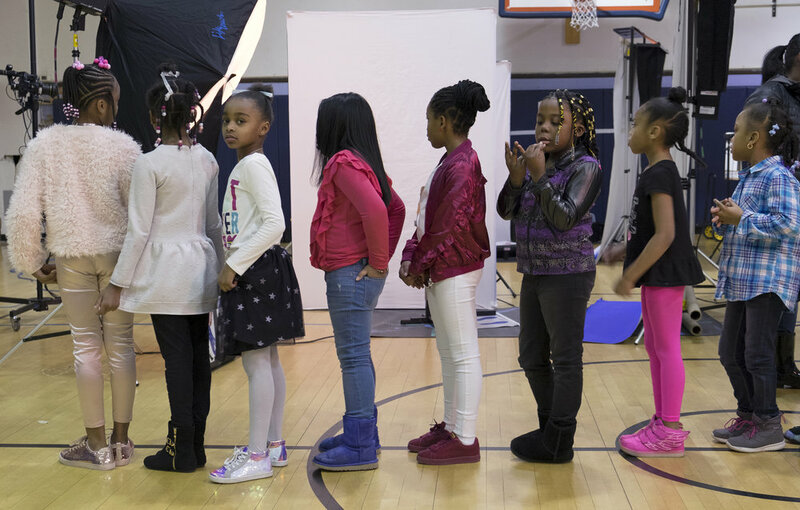 Photographer, Melissa Ann Pinney, was featured in the New York Times article “Celebrating Girlhood and Feminine Identity” written by Rena Silverman. To see the images, and read the full article, follow the link below. Featuring photographers: Suzette Bross for Henderson Elementary School, Kris Brailey for Polaris Charter Academy, Eileen Ryan for Jones College Prep, and Whitney Bradshaw for Chi Arts High School.